Rev. 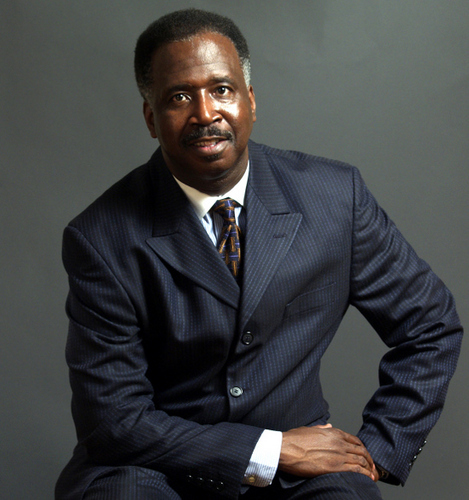 Walter Gillespie Jr., is the Founder and Executive Director of the Center of Higher Development (COHD). The concept of COHD began almost two decades ago when Rev. Gillespie noticed a need for “latch-key” kids to have a safe, wholesome place to go after school. Rev. Gillespie has been instrumental in transforming the lives of many people who originally had no technical skills or proficiencies into skilled, trained, productive individuals. Organized in 1992, in the basement of Faith Tabernacle Baptist Church, COHD began as an after school program. Shortly after, COHD acquired a contract with Chicago Community Development Corp. (CCDC) to provide supportive services to adults and their children. Expansion throughout the Chicago-land area is a dream of Rev. Gillespie. Acquiring such contracts as CCDC enabled Rev. Gillespie to slowly transition from supportive services to focusing on computer training. Rev. Gillespie sought to open computer training centers in areas where this form of training was scarce. In addition, Rev. Gillespie wanted to offer its services all free of charge. By 1994, COHD provided computer training and started its first computer lab with eight computers. During this time, COHD also became a non-for-profit organization. The Center of Higher Development Inc. now operates 12 computer training sites throughout the Chicago-land area and has over 110 computers. COHD currently offers several programs that provide an integrated learning foundation where technology training has become more enriching, dynamic, and valuable for its students. Interactive instructor-led lecture and demonstration is followed by student practice through hands-on exercises. Collaborations with After School Matters of the Chicago Public Schools and contracts with Illinois State Board of Education such as a “No Child Left Behind” provider, the Center of Higher Development has become a reality rather than a dream for Rev. Gillespie. Center of Higher Development strives to provide valuable cutting-edge learning tools that create the finest and most rewarding environment possible. Education remains the focus for COHD. The curriculum includes instruction in the following areas: Microsoft Office Suite Application, Basic Typing Skills, Workforce Development training, and General Education Development (GED). The youth curriculum is also innovative, with training offered in Microsoft Office Suite, Adobe Photoshop, Digital Storytelling, Video Photography, and Basic Typing Skills. Rev. Gillespie demonstrates his passion toward empowering the community by his many community based activities and affiliations. He is currently a board member of Southwest P.A.D.S (Public Action Defense Shelter), a transitional shelter and training facility; and a board member of BUMP, a Cook County community neighborhood improvement organization. He is a Certified Instructor for NFTE (National Foundation for Training Entrepreneurs). Rev. Gillespie is a founding member of the Neighborhood Networks National Consortium, a partnership of the Department Of Housing and Urban Development and other national technology centers. The consortium was established to promote the vision and mission of the Neighborhood Networks Initiative and to increase awareness and access to technology resources. Rev. Gillespie was born and raised in Chicago where he attended Chicago Public Schools. He received a Master’s degree in Business Admin from Golden Pacific University and a Bachelor’s degree in Biblical Studies from Friends Christian University. He is also the Pastor of Chosen Tabernacle Full Gospel Baptist Church, which keeps him involved and proactive in numerous community events and activities.